His First Marathon With Alison! In less than two weeks it will all be over. 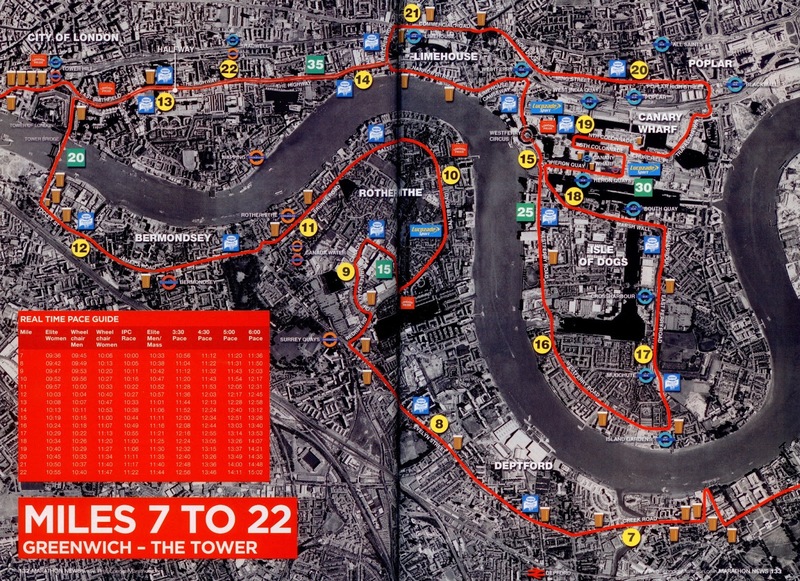 There will be medals for all and a big pile of purple-accented people to be picked up and dragged home for a wash. There might even be some champagne but above all I hope there will be pride that we all did something amazing together for our charity and above all for Emily. 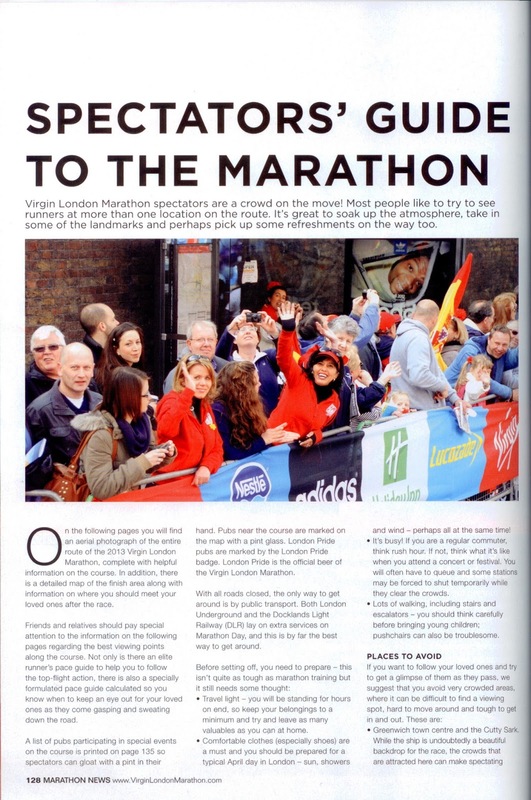 This post is a spectator guide for anyone who'd like to come and watch the spectacle that is The London Marathon and who wants to have the best chance of spotting members of TEAM!. 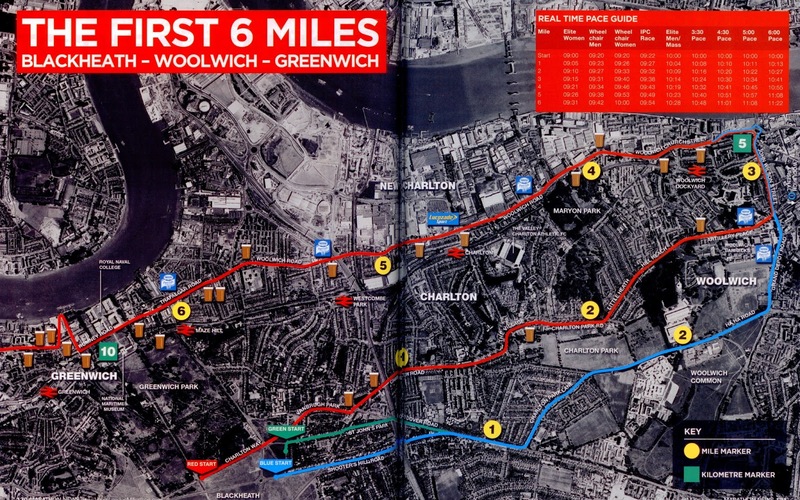 Spectators are not permitted into the start areas on race day so runners would do best to get themselves to Greenwich without an entourage and for spectators to go straight to the course. 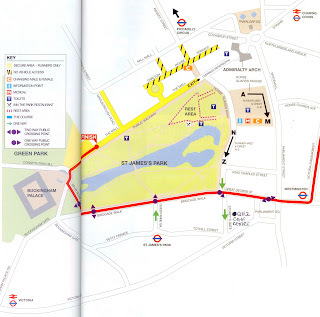 The finish is also a spectator no-go area and runners will have to proceed through a secure zone to collect their kit bag before heading out to the Runner Meet and Greet in Horseguards Road and Horseguards Parade. If spectators know when their member of TEAM! is due to finish, they could make arrangements to meet them here under their surname letter and help carry their battered bodies to the Diabetes UK Cool Down Party at The Queen Elizabeth II Conference Centre (details below) where we'd love all of TEAM! to congregate when they have finished, along with their family, friends and supporters. 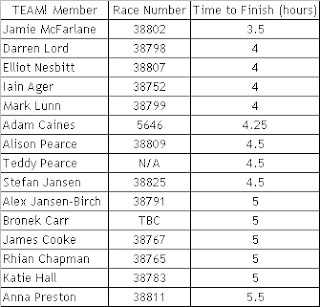 Since there's a large spread of running times across TEAM! 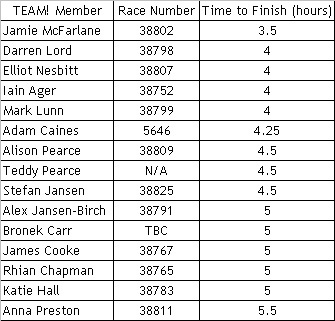 with some aiming to finish in 3-4 hours and some in 5, this will give us a chance to share a congratulatory hug as people finish and enjoy some pampering care of Diabetes UK, before everyone disappears off to put their feet up. 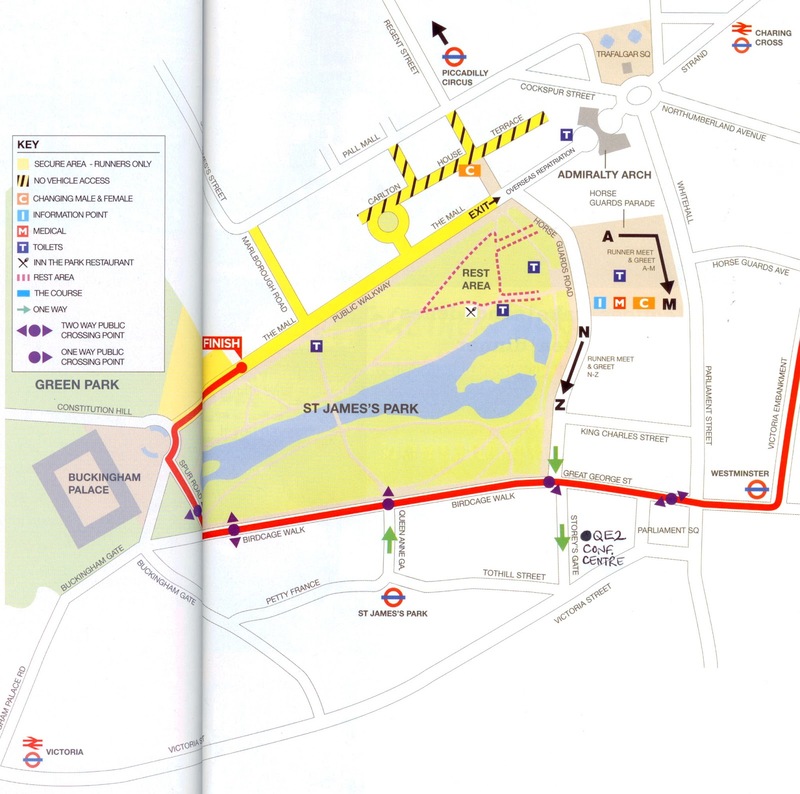 Queen Elizabeth II Conference Centre, Mountbatten Lounge (5th floor), Broad Sanctuary, Westminster, SW1P 3EE, 12PM – 6PM. 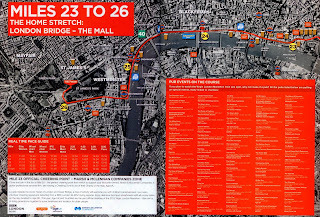 Using this amazing interactive tool courtesy of the Virgin London Marathon website, you can enter your runner's prospective finishing time (see below) and work out where on the course they will be at a particular time for you to cheer them on (do bear in mind it can take 20 minutes for everyone at the Mass Start to go over the start line so the locations and timings you get could be subject to plus up to 20 minutes) and you can also use it to see where likely quiet or vibrant locations for viewing will be to help plan your day. 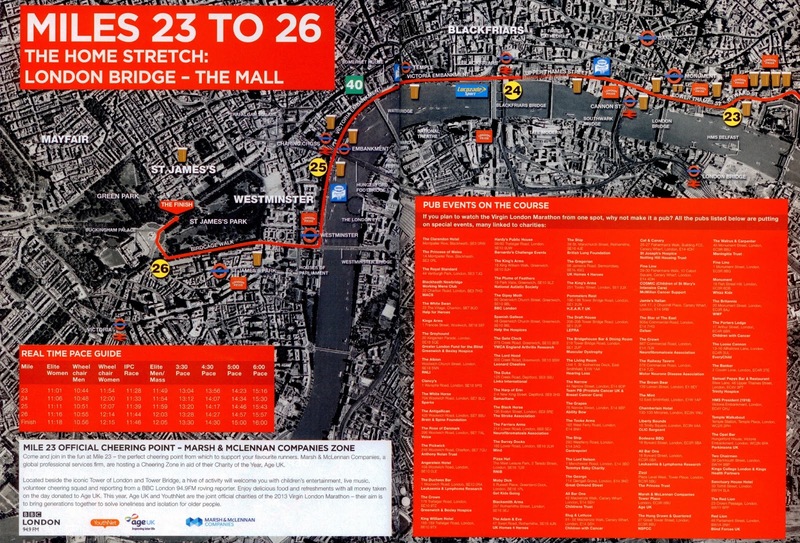 Diabetes UK are going to have two special Cheering Points at The Draft House pub by Tower Bridge and Big Ben. 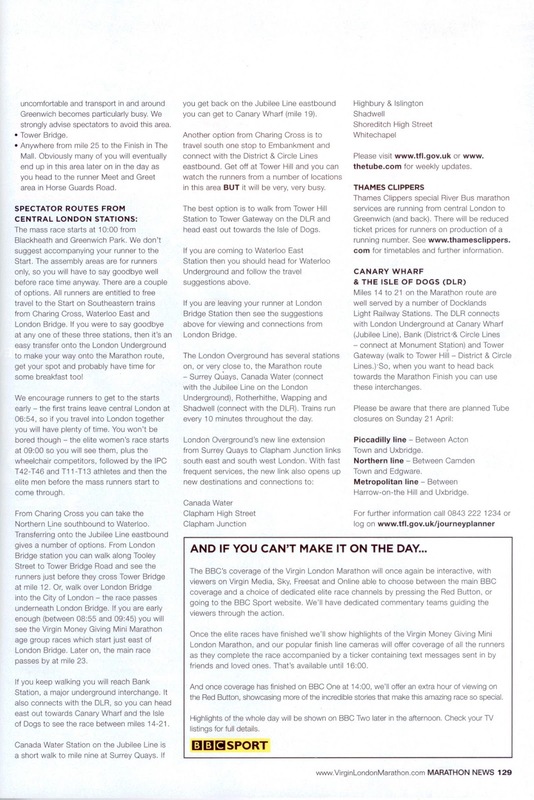 Their locations and details are in this linked document. The charity have asked that if anyone would like to join them there then we should give them names and details so please ask a member of TEAM! to do this on your behalf. They will have balloon arches, bang sticks and crazy hair (essential cheering tools) as well as a steel band so these two locations should be a fun place to stand as well as being easily seen by TEAM! as we all sail majestically past (dream on). 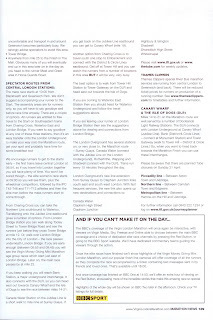 Related to the point above please expect to desire to take part in 2014 and we wish you all the luck in the world with that! 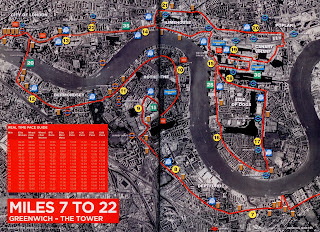 Fingers and toes crossed for a perfect day, please limber up your cheering muscles and turbo-charge your hugging capabilities as there will be 14 purple people and a bear who'll need some support!